Not a lot of news on the Cavaliers this off-season but this one is actually good. 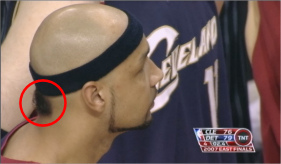 Drew Gooden finally shaved his Ducktail according to Slam online. Ladies, I am sure you will find something else to like about Drew!